Do you have suspicions that a loved one or one of your workers are lying to you? Do they act strange and seem distant mostly? Maybe it is time to get to the bottom of it all. There are many people in and out of our lives daily, privately as well as professionally. Who can you truly trust? Do know what they really do with the secrets you confide in them? Are your business operations safe? Does something feel not quite right? Have you suspicions lay to rest! What does surveillance entail? It is observing taking place, tracking a person or a group’s activities, their behaviours and picking up on any strange changes. There are many reasons someone would have surveillance done on another person. The two main reasons however are as follow, the first being to find out the truth, and the second would be to help and protect that person. Surveillance can also be done to influence people or in some cases to obtain information that can be used against them at a later date. Get the professionals to do surveillance! 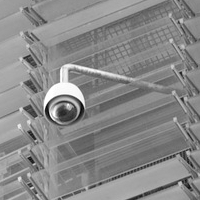 Professional companies have many surveillance techniques they use, such as electronic equipment (cameras or listening devices). They can in some cases gather electronic information from telephone calls as well as internet use (e-mails or searches) of a person. It also entails following a person and keeping record of their daily coming and goings, their habits. Expert Surveillance could save you time and money! You could do it yourself, but in most cases you would be detected by the person that you are following. Experts in this field are trained in knowing what to do and when to do what. Surveillance companies plan their every move and achieve their objectives in as little time as possible. They can deliver you the truth without being noticed. Protect yourself, your business and family with surveillance done right! Trained surveillance experts can gather vital information; they can recognize threats plus monitor them for a level of danger. In many cases they can prevent fraud as well as criminal activities. They can provide evidence in fraud cases, personal injury cases as well as imperative information in divorce settlements. Their investigators use the best equipment and always have your objective in mind. If you have any doubts about an employee, have them take a look, and ease your worries. Surveillance can trace and find people anywhere! Professional surveillance companies act within the bounds of the law, thus their information gathered can be used in court. People are creatures of habit and once they know they are being followed they change their habits. Have the professionals do it for you so you can get down to the truth. Talk to a company that can aid you personally and professionally with all and any surveillance needs. Visit Seca today and get to the bottom of things. Discover the truth and regain your trust. Have a look at the wide range of professional services they have to offer. Expertly trained with all the correct equipment, they can assist you.